Posted by skyvu on Tuesday, February 5, 2019 in News, Reporting. A new PPM Project Budget vs. Actual reports was introduced during the fall to provide users with multiple options for comparing budget and actual data using the drop-down menu. This report incorporates the content from the standalone, type-specified versions of the report (i.e., for Grants and for Non-Grants), thus we will be retiring the standalone versions from the Playbook this week. 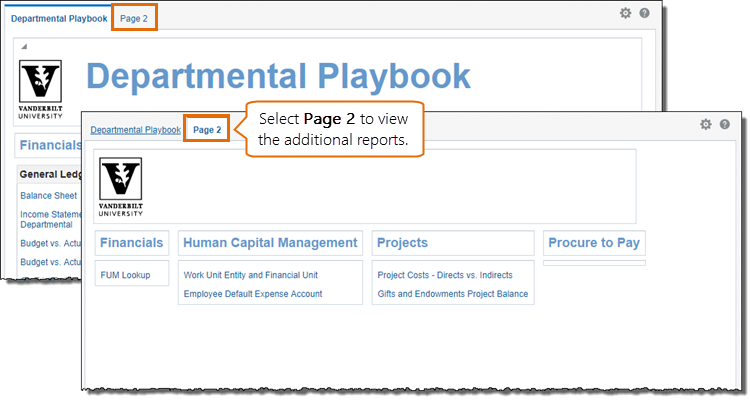 To access Page 2, click the tab at the top of the page from the Departmental Playbook.